e-Claim helps to facilitate online submission in a transparent and efficient way. It is easy to use by both admins and employees for their management of online claims submission, including all claims under their benefits, and reimbursable expenses on ad-hoc basic employee claims such as traveling, transport, entertainment and so on. Approval is based on multiple levels that can be varied by employee category set-up. 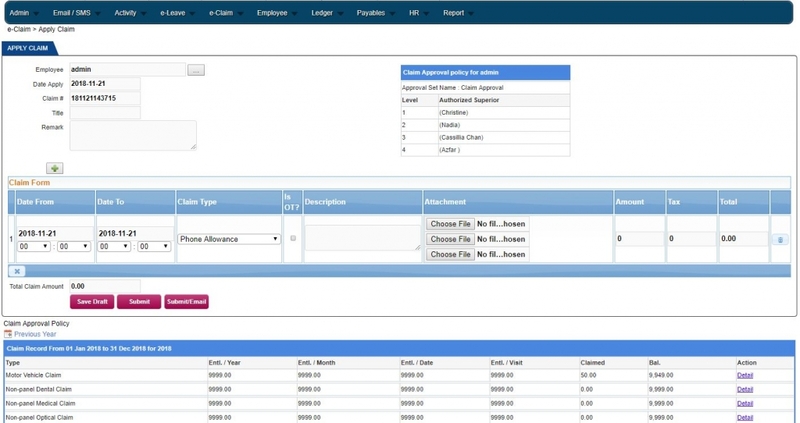 You can easily attach photos of your claim into the system for claim application. 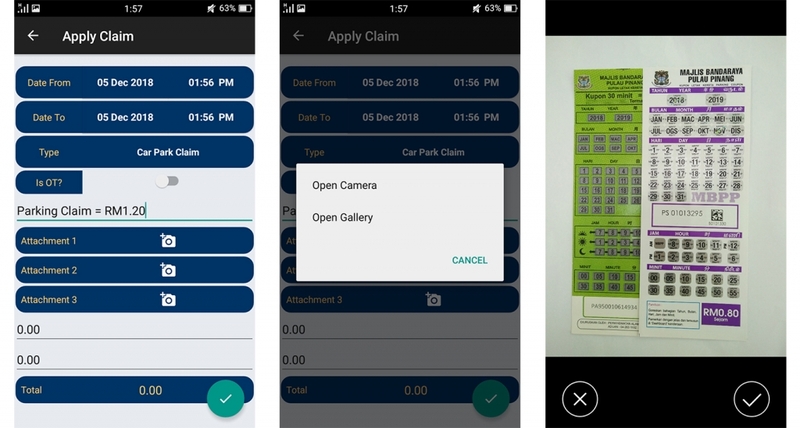 By using mobile phone app, you are able to snap the claim receipt for attachment. Once done take a photo of your receipt, it will be uploaded to the employee claim system. Conventional claim methods, form submissions and filing can be omitted by using our online claim system. Moreover, receipts, toll and other proof of payment can be scanned to be attached with the claim form. This will ease the approval process. The supervisor will receive email notification and make decision via email as well. Each employee type may be unique. For example, medical claim cap for each employee type can be set differently. Our employee claim system addresses the need and provide flexibility for different employee type settings. Employee in different departments have different approval requirements. We provide group approval and multi level approval for every employee type in the system. Employee can login to website or phone app to submit claim form. Once the amount is keyed in and choose claim type, the employee just have to submit the claim. The assigned supervisor will receive an email and decide on the claim approval. The process will go thru all management levels and marked approved if all pass. Finally, finance department will access the claim report and reimburse payment accordingly. 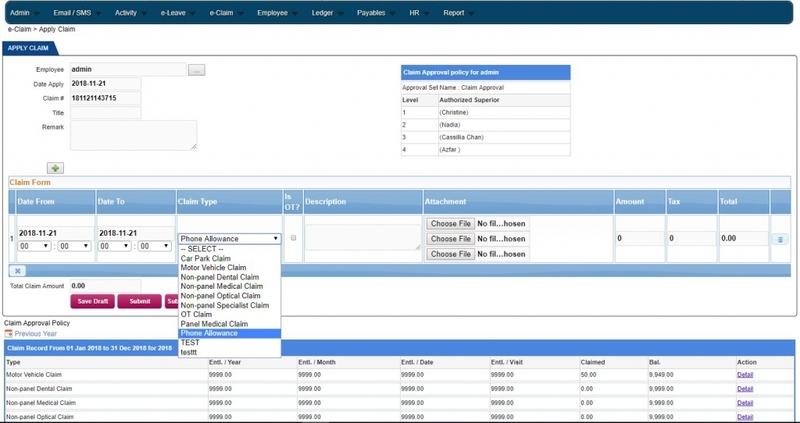 Our e-Claim system is able to generate multiple reports and customizable with excel. If you need customised report, do let us know and we would be able to assist you. We have in-house expert software developers to achieve your requirements. Let us know what you need and we will discuss with our team. We support you by helping you to setup and begin to use the HRM system. You can reach us for any issues or questions at anytime. Contact us for service demo!